North is one page parallax WordPress theme built using twitter bootstrap 3 framework and comes with 12 awesome and unique home versions which supports full width sliders, images, videos as background. 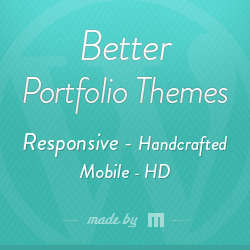 Its clean and professional theme perfect for agencies, creative studios, portfolio websites. Creating one page website not easier before, but with north one page parallax WordPress theme is so much easier with the support of integrated Visual composer ($33) page builder, Slider revolution ($18), Layerslider ($17), Templatera template manager for visual composer ($11) premium WordPress plugins helps you to build one page website with different page layouts as easy as possible. Take a total control over your theme with a powerful theme options panel that will let you configure every aspect of your site with just few clicks. With north theme own style customizer, you can change the look of any theme elements within seconds. North has dozen of shortcodes and able to access theme is simple shortcodes dropdown menu directly from the post editor. North one page parallax WordPress theme including with .PO and .MO files, so its a matter of moment to get your site fully translated by using WPML multilingual WordPress plugin.